December 5, 2018 By Klint Macro & filed under All Articles, Defensive Training. Counter Ambush Methodology requires us to learn to be able to process information while performing a complex task. 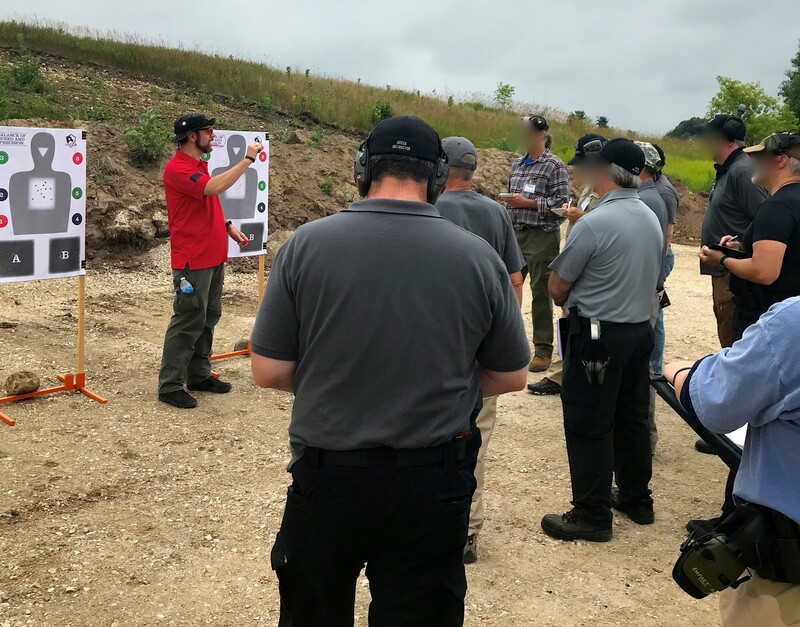 Responding appropriately during a Dynamic Critical Incident (DCI) is most certainly a “complex task.” Stopping an attacker from hurting or killing you or someone you love will most likely require multiple necessary steps. Science and reports from individuals who have been in DCIs tell us that our brain’s “processing” power during a DCI may very well be perceived as diminished, distracted, or non-existent. Many folks may have already experienced this to a degree, during a car crash or heated argument with a fellow human being. The less thinking we can do to physically respond to an attacker, the more we can prioritize that processing power to our cognitive response to the attacker. 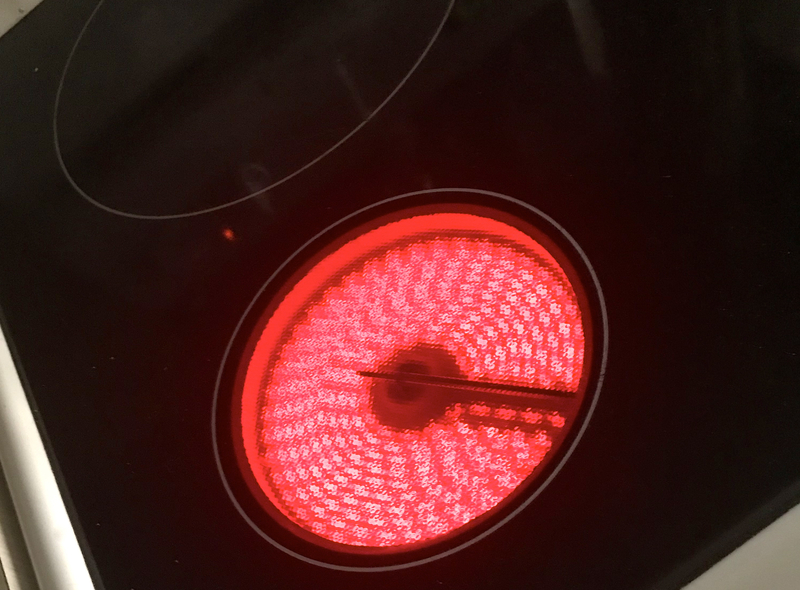 Response: Stay away, don’t get burned. Through frequent and realistic training, we can develop skills so we can apply them intuitively in context. Ok, that’s a bunch of big words … what do they mean to a regular human being? If our responses to learned stimuli are practiced consistently many times, they can become “intuitive.” We can recognize this when we don’t need to consciously think them through in order to apply them. It just happens, which allows us to dedicate what thinking power we have to other things. This is often referred to as “muscle memory,” but is actually called myelinization within the brain. When skills are learned, the brain basically builds a route or pathway in the brain where neurons travel while performing said task. The more correct reps we get, the deeper that pathway becomes and the more intuitively we can apply that skill. Many classes and curricula spend a lot of time administering regimented, highly choreographed drills that essentially disregard the processing of information. They may get you good trigger reps, but how good are they if they are not in context? Here are some physical actions that may need to occur in order to appropriately respond to a DCI. 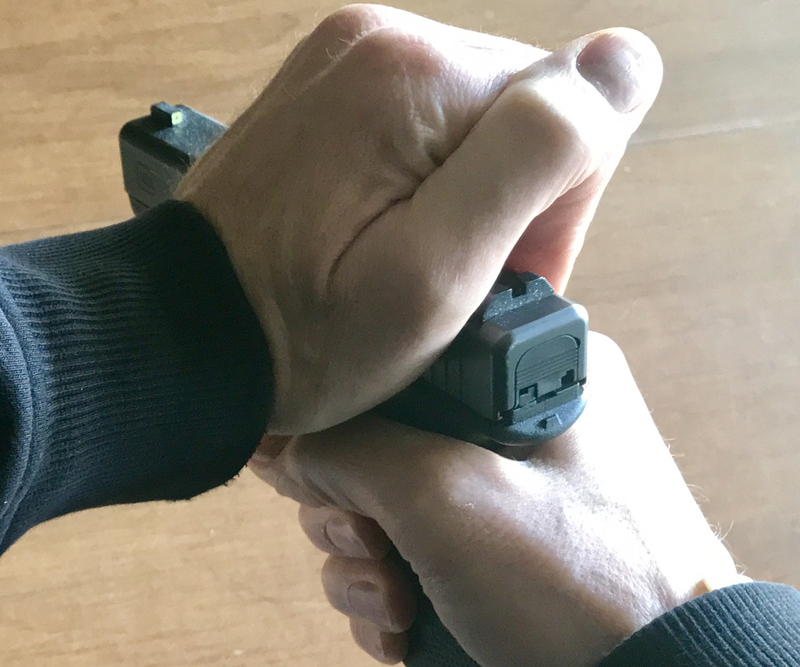 Physical Actions Only: achieving a solid grip, moving laterally, presenting from the holster, possibly operating an external thumb safety, pressing the trigger, settling the gun controlling recoil, pressing the trigger again…lots of complex tasks. Let’s look at that list in context, along with the cognitive steps that must be taken if we are to respond appropriately during a DCI. There is a lot of thinking going on! Hence, the Counter Ambush Methodology and the focus on our being able to process information while performing complex tasks. 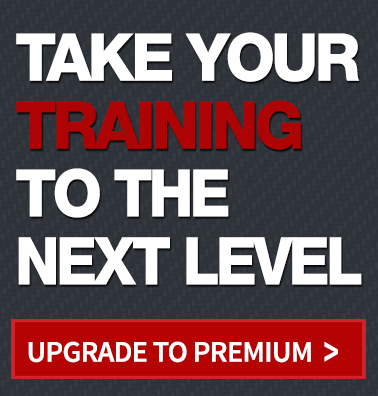 Training to be the best “Family First Responder” you can be requires much more than shooting. What about the shot timer reference? Imposing objective “time” standards removes what Captain Chesley “Sully” Sullenberger referred to as the “human factor.” (Google it or watch the movie Sully directed by Clint Eastwood.) The human factor is subjective and situationally dependent. It takes time for humans to process information. Holding to an objective time standard can give many students a false sense of competency or discourage them from becoming their own first responder. As an educator, I don’t ever want one of my students to walk away defeated and saying, “I can’t do this, I’ll never be that fast.” Indeed fast is good! Be as fast as you can possibly be while getting good defensively accurate hits, but do not discount the time it takes to process information. 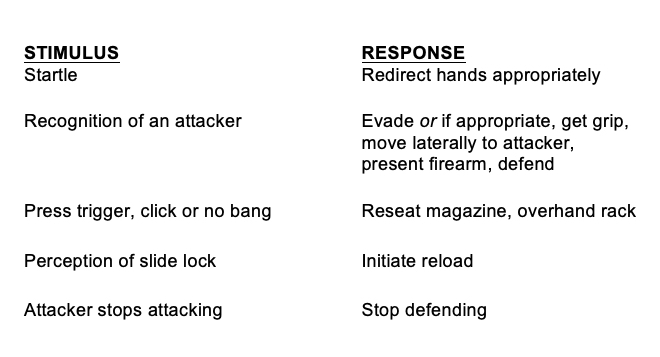 These are a few examples of stimulus-response patterns that we focus on in classes that are based in the Counter Ambush Methodology. These responses or skills should be efficient. Skills should be applied using the least amount of resources (time, effort, energy), and we should be able to apply these skills while processing information about our environment, the attacker, and other people in the environment. That is training in context. Consistency is doing the same thing the same way as often as possible. Consistency helps you build neural pathways as well. Why learn three different ways to do three different things when you can do three different things one way? 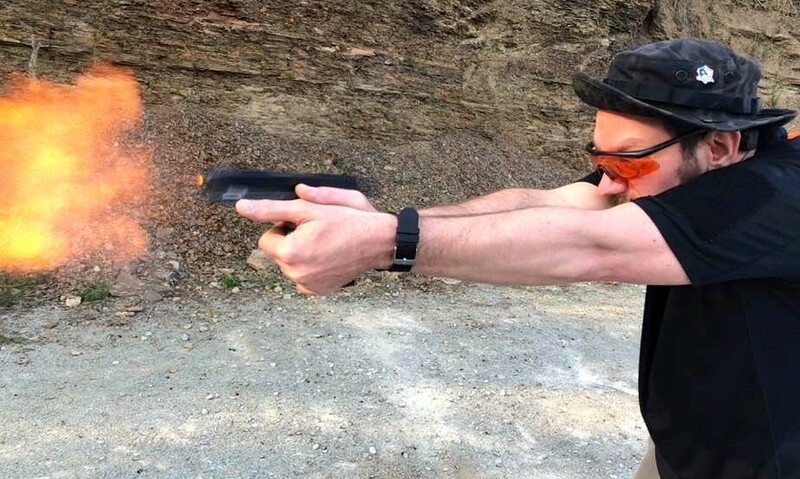 A great example of this is when you load a pistol: Do the same motion that you would to clear a malfunction or reload. At the high compressed ready position, seat the magazine, keep contact with the grip as you rotate the support hand, grasp the slide behind the ejection port (keep your pinky clear of the ejection port), and overhand rack. Discipline yourself to do this without looking at the gun. Keep your eyes free to collect information; also, you don’t really need to look at the gun. 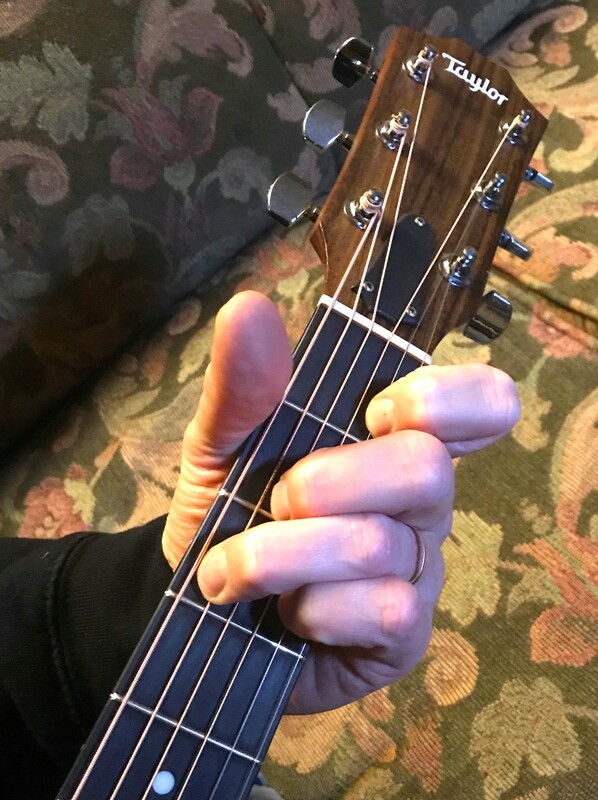 A practiced guitar player does not need to look at their fingers to make chords. It can be done intuitively after many slow correct repetitions. Visualization is a major component of many types of training and is very important for contextualizing defensive training. 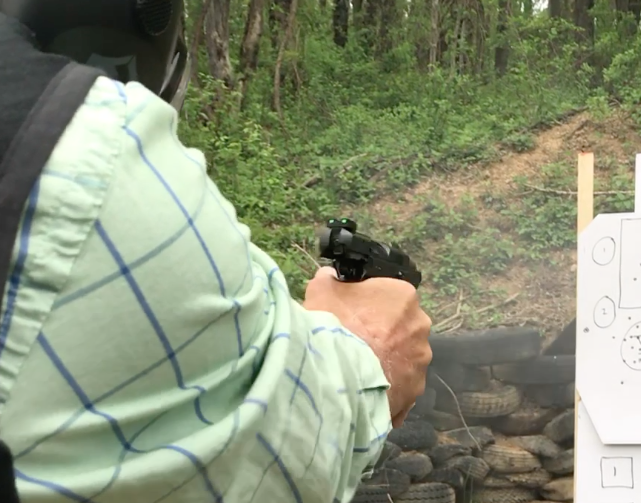 The stimulus of “the attacker has stopped attacking” must be visualized on the range. Even if you have falling steel or reactive targets, don’t get used to punching holes in paper or pinging metal. Visualize the attacker giving up, falling down, dropping their weapon, or expiring, and let that be your stimulus to ceasing your defense. Visualize something different each rep. Use that visualization to also plan what you might do if the attacker runs away, or falls, or complies, or expires. Why waste a good opportunity for a good rep? Practice in context as much as possible. Learn a stimulus and learn an efficient way to respond to that stimulus. Do it consistently and repetitively so it becomes intuitive and frees up your senses for collecting information and frees up your mind for processing information. 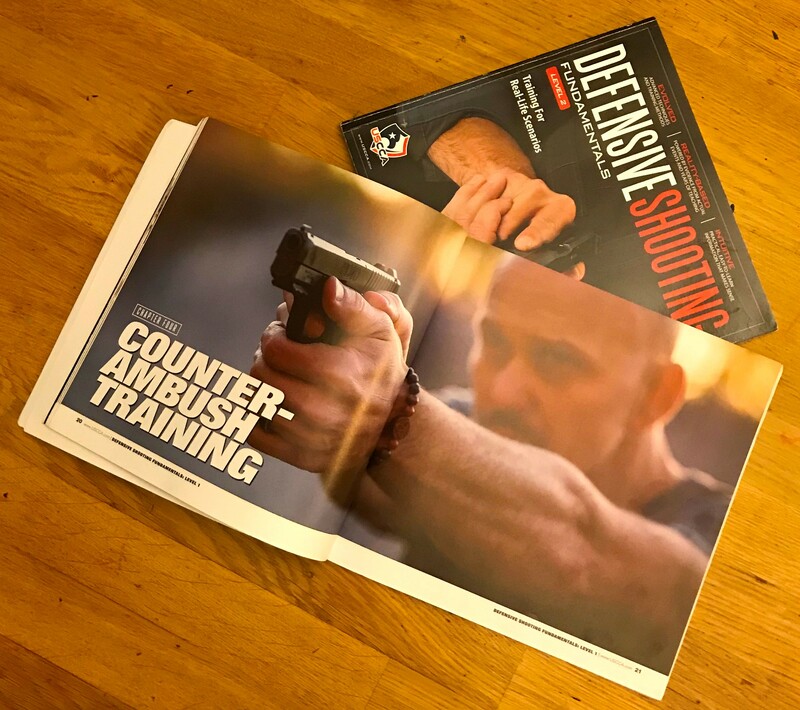 This is at least the third article that suggests using a shot timer may not be effective for self-defense training. Move as fast as you can and still be accurate. William Munney was never in a hurray to make a bad shot, he recognized the most dangerous threat and took the time to make an accurate shot. He could just go slow much faster than most of us. We all must recognize our own competency and work towards being as fast yet accurate as possible. Our expectation every time we touch trigger should be “I will get the hit”. If we “know thyself” our confidence will determine how fast we take the shot. Thanks for your comment!! Great article with solid points. I teach using my version of the KISS principle as keep it simple and similar. I can with everything except the overhand racking of the slide. That is a range safety thing and a bad habit to get into. There are a number of reasons to avoid it and I would like to discuss it with you sometime. Thanks for the article. Please clarify your statement.. I want to make sure I understand your concern fully before I reply…. Wes, what is unsafe about using an overhand rack to load the gun that is not just as unsafe using the slingshot method? I do not understand your comment at all? Could it be possible that you misunderstand what is meant by the overhand rack? We teach it all the time and there should be no issues if done correctly. The firearm is at high compressed ready oriented down range at or below eye level and the hand rotates from the magazine well directly to the slide behind the ejection port. The shooter will not sweep themselves or anyone else and the gun is not pointed anywhere except toward the backstop. Very good article. Wish many of the guys I work with (DHS contractors) Put in the time to learn their responses instead of worrying about the timer every six months during quals. Many of them would shoot just fine if they practiced this. I really appreciate this article! Great information about how the brain needs to be trained!